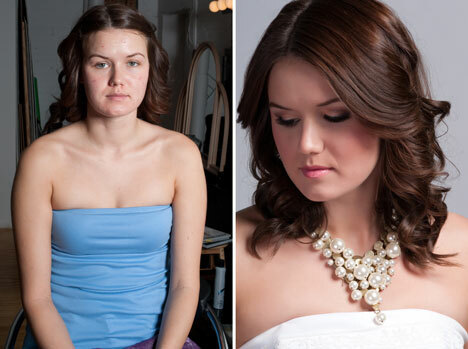 bride.ca | Before & After: Wedding Photo Touch-ups to the Rescue! "Perfect" is exactly what you want, isn't it? "more often than not, the summer weather, the heat, the humidity and the natural anxiety can get to you"..
Not all makeup artists are created equal. 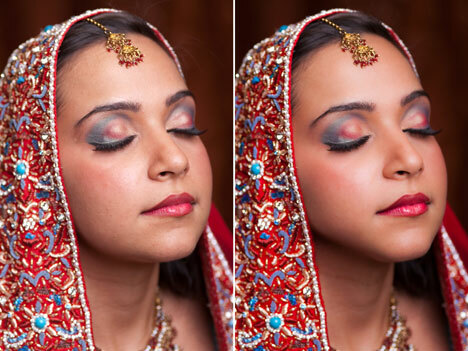 It's very important to the photographer to have an MUA who understands how makeup will photograph and not use makeup products with metallic additives. 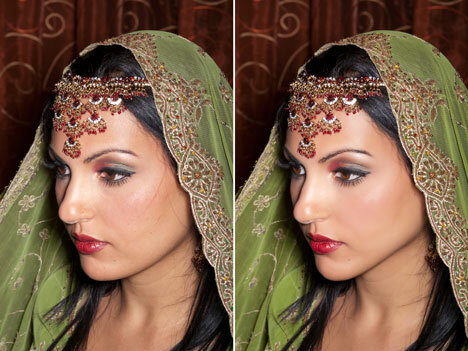 That kind of makeup will reflect and create hot spots on the bride's face with flash photographs.